And what a relief it is! 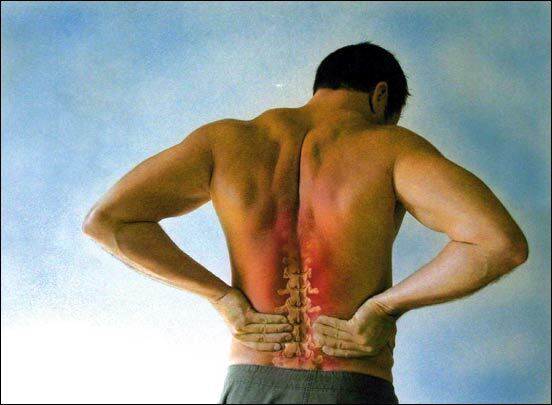 Millions of people are living with the agony and the debilitating effects of lower back pain. Many are considering surgery and most are using painkillers. Yet chiropractic treatment can, not only help alleviate the pain, it can address the cause of the condition and get rid of lower back pain for good. These problems with the lower back are very common and frequently caused by bad habits putting undue stress on the spine. Things like disc herniation, sacroiliac joint strain, facet joint injury and a variety of muscle injuries. The lower back is a complex structure. The key skill that a qualified chiropractor brings to the table is the accurate identification of the exact condition and its likely causes. Often the causes are to do with life style, things like posture, core strength, work habits, driving without proper lumbar support, sitting at a computer all day, sport injuries. We are even seeing children with lower back problems caused by carrying heavy school bags full of books. So a lot of lower back pain stems from simple life style choices – like the golfer who doesn’t warm up, the traveling salesman who doesn’t have proper lumbar support, a sports person who forgets to stretch before performing. Here’s an example of a mortgage broker who recently came into the practice with acute back pain. He came in on a Thursday and the Lakelands Golf Championship began on Saturday. He wanted his pain relieved and he desperately wanted to play in the championship two days later. When we looked at the X-rays it was obvious that he was spending excessive hours in front of a computer. He was working 50 to 60 hours a week on a laptop. He was leaning forward, with his head tilted and this awkward posture was causing his lower body to arch backwards. Then, when he was playing golf, this imbalance created a crisis injury. Therefore, while the acute pain was in the lower back, it was the neck that was the source. When I fed the data into the computer, it estimated that the weight of his head, roughly 6 kilos, was around 50 kilos of weight for the muscles to hold up owing to his poor posture. And this imbalance in the upper body caused him real problems in the lower back. Being a serious golfer playing off 8, this was a serious issue for him and he needed to address his life style and change the behaviour that was causing the problem. I was able to perform some adjustments that enabled him to play on the Saturday so he was happy. But to achieve lasting results he would have to make some changes to his work habits and poor posture. Unfortunately, people are not good at change and it typically takes 3 relapses before they realize how important it is to correct these poor posture habits. So what I tell patients is: yes, we can alleviate the symptoms but only you can fix the causes. If you are suffering from lower back pain, there’s no better place to start than with a good chiropractor. Here at Mind & Body, the first thing we do is to create a profile. This is a thorough assessment of your overall health and it will pinpoint the nature of your condition and the probable causes. The word chiropractor derives from the Greek word “Chiro” meaning hand. We combine a hands-on approach with the very latest in technology to give us an extremely accurate picture of the problem and the best way of solving it. These are not empty words. We back them up with our guarantee: if after 3 treatments, you don’t feel an improvement, we refund you the fees. So you’ve got nothing to lose except that nagging pain in your lower back! Call us today!